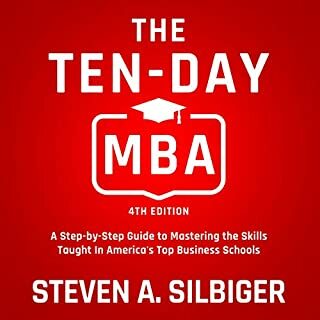 Revised and updated to answer the challenges of a rapidly changing business world, the 4th edition of The Ten-Day MBA includes the latest topics taught at America's top business schools, from corporate ethics and compliance to financial planning and real estate to leadership and negotiation. 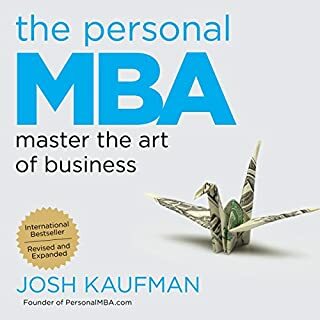 With more than 400,000 copies sold around the world, this internationally acclaimed guide distills the lessons of the most popular business school courses taught at Harvard, Stanford, the University of Pennsylvania, the University of Chicago, Northwestern, and the University of Virginia. Especially relevant in today's world of corporate scandals and new accounting laws, the numbers in a financial report contain vitally important information about where a company has been and where it is going. 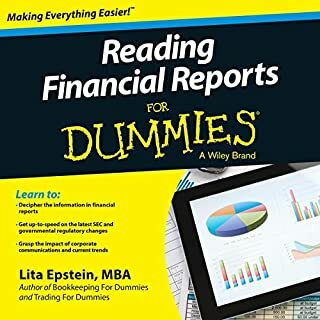 Packed with new and updated information, Reading Financial Reports for Dummies, 3rd Edition gives you a quick but clear introduction to financial reports - and how to decipher the information in them. So you've already figured out that business intelligence can be pretty valuable in making the right decisions about your business. But you've heard at least a dozen definitions of what it is, and heard of at least that many BI tools. Where do you start? 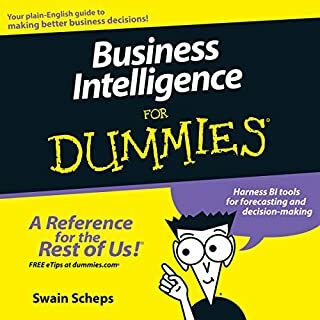 Business Intelligence for Dummies makes BI understandable. It takes you step by step through the technologies and the alphabet soup, so you can choose the right technology and implement a successful BI environment. Without a strong grasp of performance metrics, a company can have no clear, quantitative indication of its performance improvement. 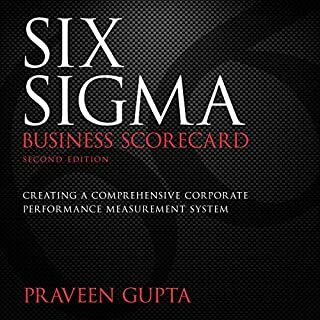 Six Sigma Business Scorecard offers a unique approach to measuring performance. Listeners will learn how to track their improvements in operations and financials - and make critical adjustments if such improvements are not up to expectations - using Six Sigma. This much-needed second edition of Six Sigma Business Scorecard delivers an innovative Execution Map allowing you to implement, reap, and quantify the many advantages of Six Sigma. Marketing your skills and personality, and showing the rest of the world who you are, gives you a competitive edge. Whether you're looking for your first job, considering changing careers, or just want to be more viable and successful in your current career, this guide provides the step-by-step information you need to develop your personal brand. This updated edition includes new information on expanding your brand through social media, online job boards, and communities, using the tried and true methods that are the foundation of personal branding. Accounting fundamentals, accounting foundational concepts, and accounting concepts every student, business owner, and business professional needs to know. 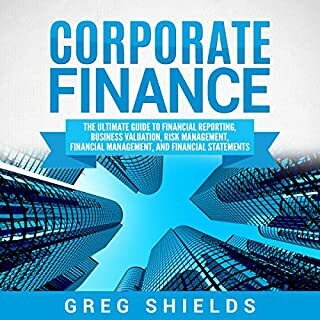 This audiobook can be used by beginners and by any person at any level because these are the concepts on which all other accounting concepts are built. Want to get an MBA? The Complete MBA For Dummies, 2nd Edition, is the practical, plain-English guide that covers all the basics of a top-notch MBA program, helping you to navigate today's most innovative business strategies. From management to entrepreneurship to strategic planning, you'll understand the hottest trends and get the latest techniques for motivating employees, building global partnerships, managing risk, and manufacturing. This fun, easy-to-access guide is full of useful information, tips, and checklists that will help you lead, manage, or participate in any business at a high level of competence. You'll find out how to use databases to your advantage, recognize and reward your employees, analyze financial statements, and understand the challenges of strategic planning in a global business environment. You'll also learn the basic principals of accounting, get a grip on the concepts behind stocks and bonds, and find out how technology has revolutionized everything from manufacturing to marketing. Once you know what an MBA knows, the sky's the limit. 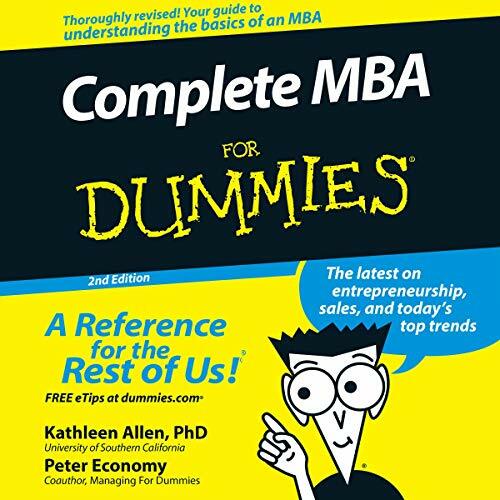 Listen to The Complete MBA For Dummies, 2nd Edition, and watch your career take off!